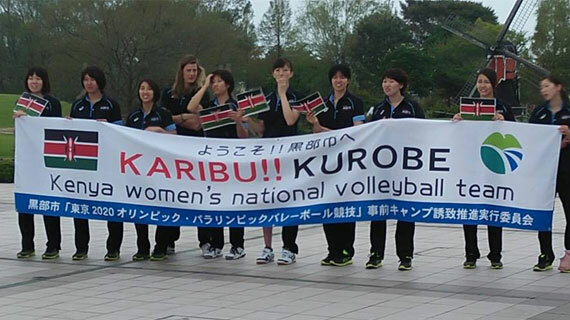 The Kenyan team landed in Japan on 22nd September after a 15 hour trip from Ethiopia where they connected from Nairobi and were first hosted in Ibaraki City for their first sessions that were also attended by Japanese coach Sadatoshi Sugawara who formerly coached the Kenyan side. In Kurobe City, Chubu region of Japan, the team is expected to intensify training with friendly matches against local clubs ahead of the tournament serve off. Malkia strikers are in a tough Pool D which includes 2014 bronze medallists Brazil, European giants Serbia, Kazakhstan, Puerto Rico and the Dominican Republic. The team will open their campaign against Kazakhstan on the opening day of the championship, September 29. They will face Serbia the day after then Puerto Rico and Brazil before finishing up their pool campaign on October 4 against the Dominican Republic. The Kenyan team will play their pool matches in Hamamatsu, a central city of the western part of the Shizuoka prefecture, made famous by car manufacturers, Honda and Suzuki, and musical instrument manufacturers, Yamaha and Kawai.